My nephew Charles was in Strictly Come Dancing! 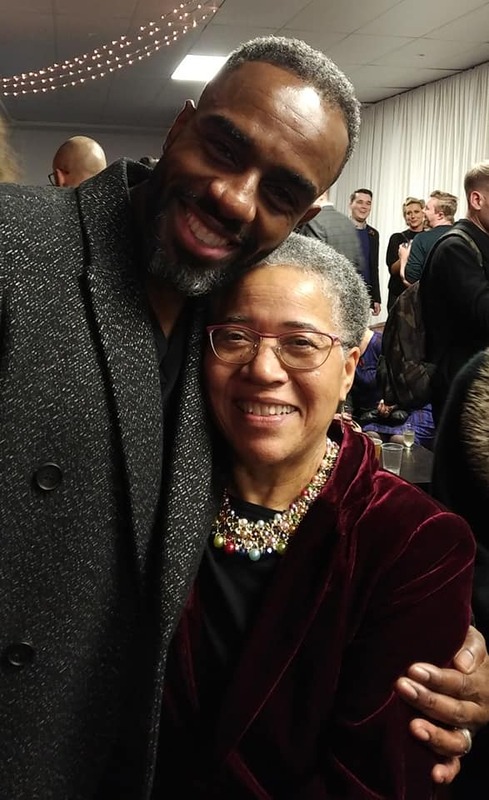 So proud that my actor nephew Charles Venn managed to reached the Quarter-Finals of Strictly Come Dancing! Here I am with him at Elstree Studios congratulating him after he had succeeded in going on to Blackpool on Saturday 17th November 2018. Proud Auntie! Posted in EventsLeave a Comment on My nephew Charles was in Strictly Come Dancing! 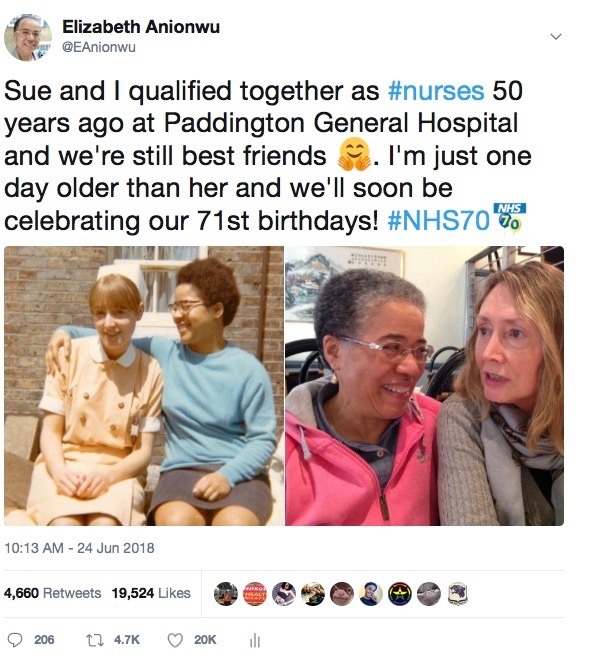 A tweet I posted in the days leading up to the 70th Anniversary of the National Health Service unexpectedly went viral and also attracted a great deal of media attention! Click here for an example from ITV News. Posted in EventsLeave a Comment on Tweet goes viral! 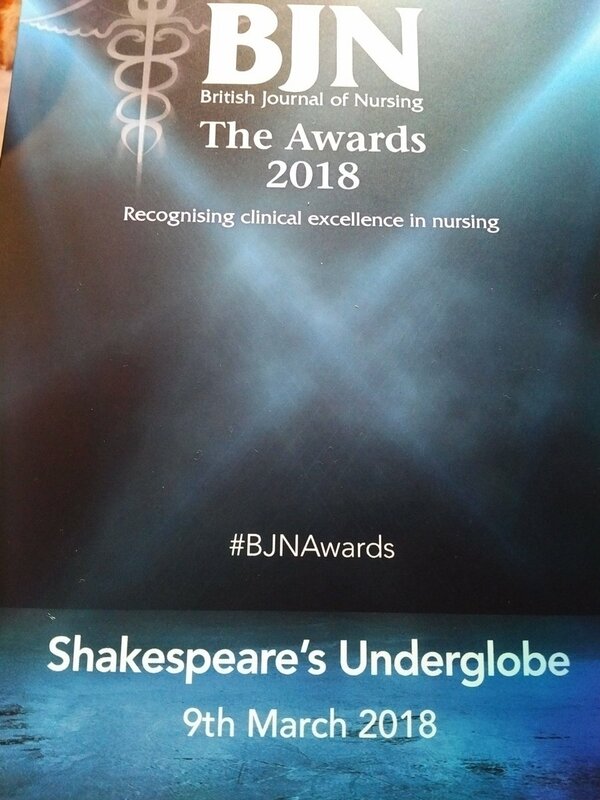 I was thrilled to have been chosen to receive the British Journal of Nursing 2018 Lifetime Achievement Award at a dazzling ceremony the 9th March. 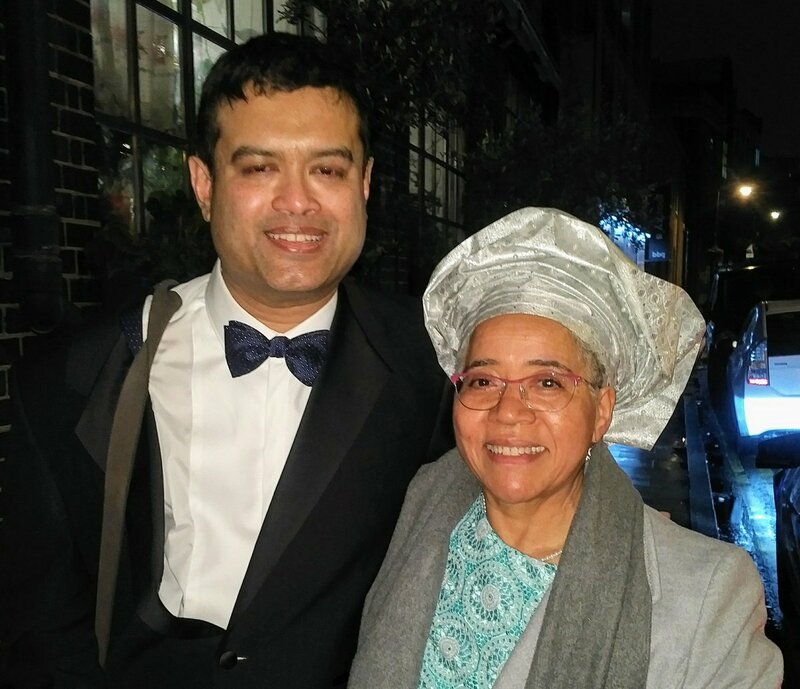 It was compèred by Paul Sinha, comedian, former GP and one of the stars of The Chase television programme. Ian Peate, the BJN Editor-in-Chief, presented the award. 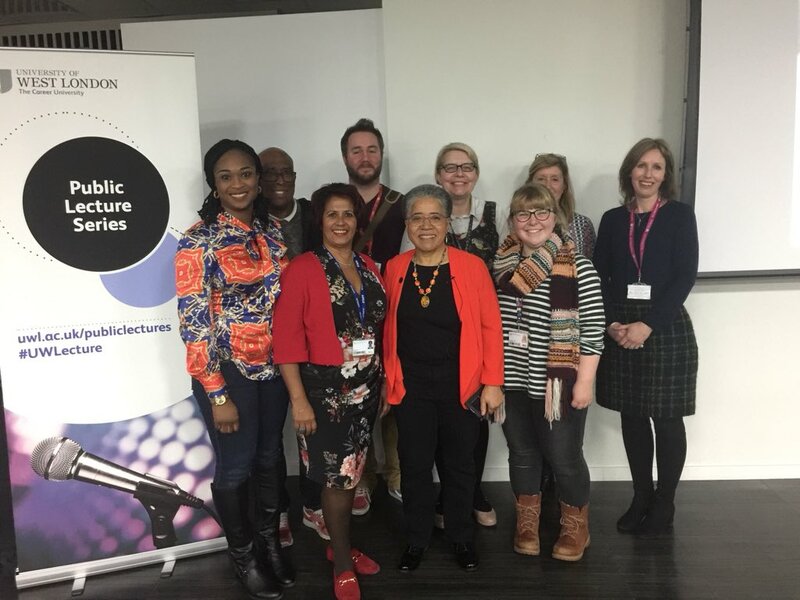 I was delighted to have been invited to take part in the University of West London’s Public Lecture Series. 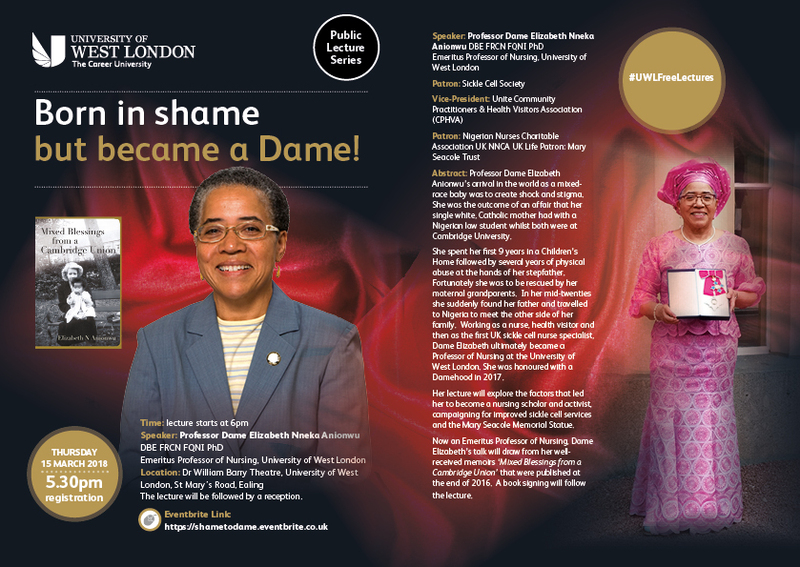 My presentation was entitled ‘Born in shame but became a Dame’ and was well received by a very enthusiastic audience from the public together with students and staff from the university. I was very honoured to have been awarded a Fellowship of the Queen’s Nursing Institute (FQNI) on 30th October 2017. 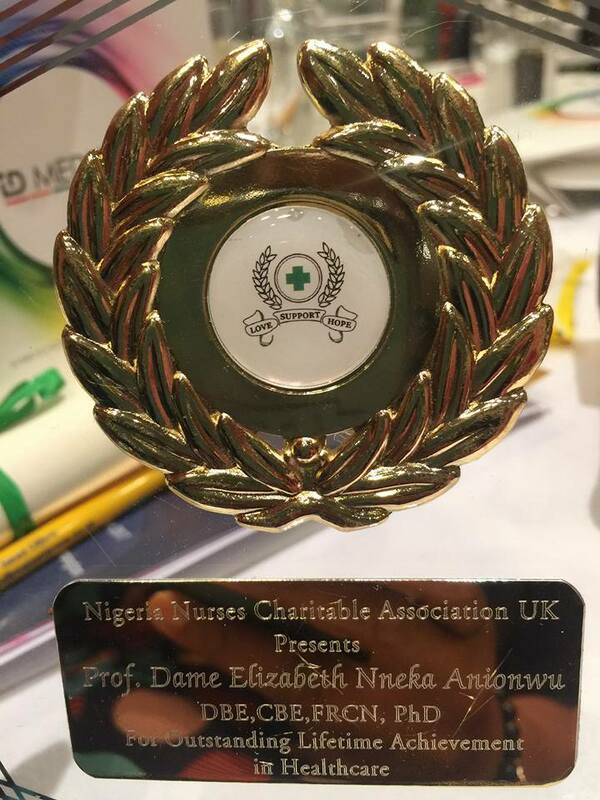 My sincere thanks to the Nigerian Nurses Charitable Association UK (NNCA UK) for the Lifetime Achievement Award they presented to me on the 23rd June 2017! 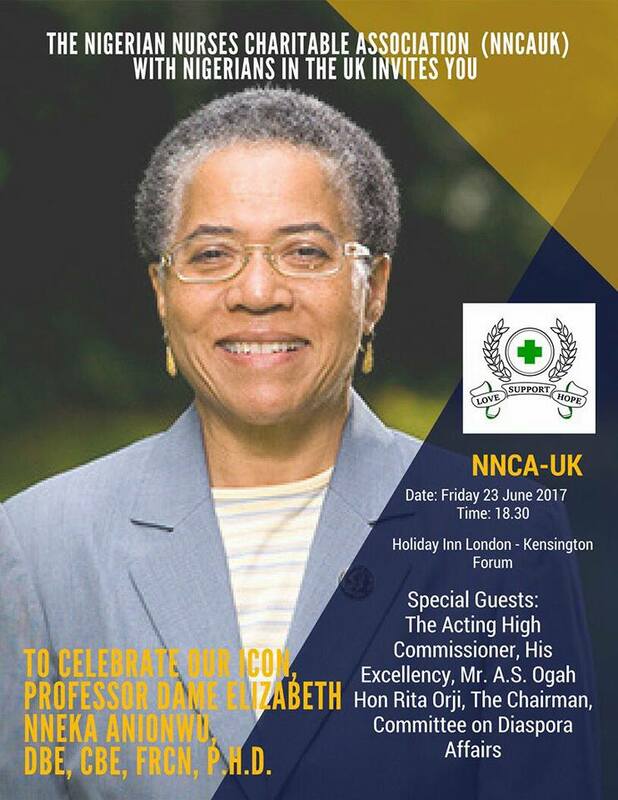 Many thanks for all the congratulations I have received on becoming a Dame in the 2017 New Year’s Honours List! Posted in EventsLeave a Comment on Now a Dame! 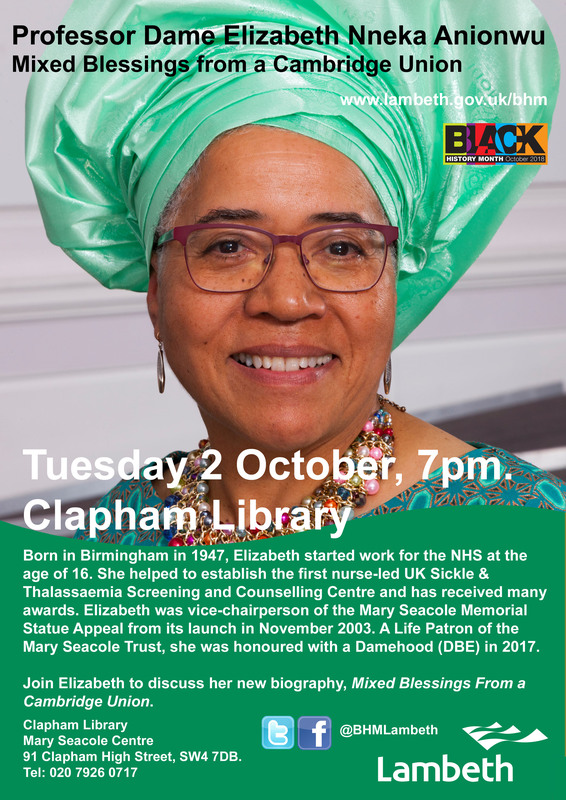 My life and memoirs are featured in Nursing Standard – written by Thelma Agnew, her article has also been made freely accessible on their website to celebrate October being Black History Month. 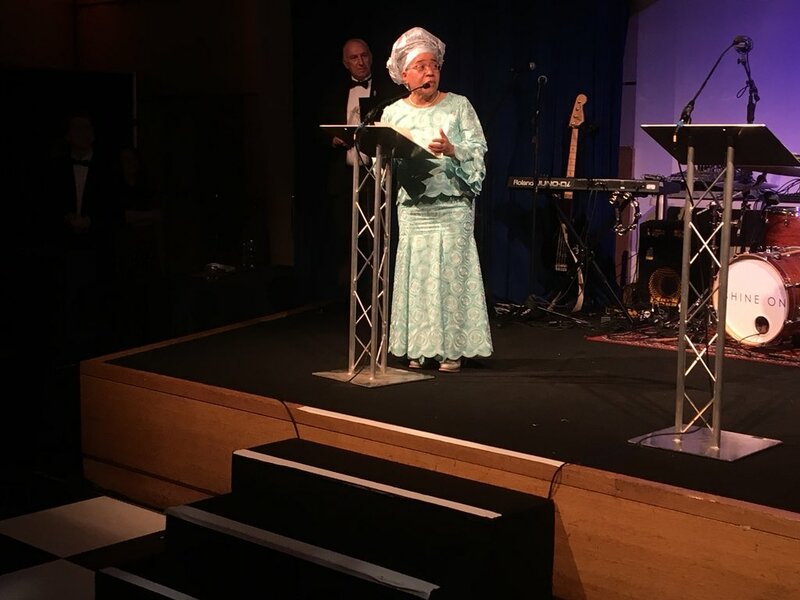 It is an extremely detailed piece drawn from my book ‘Mixed Blessings from a Cambridge Union’ together with extracts from an in-depth interview Thelma conducted with me about the impact of various life events on my career and family.